There's a good article from new blogger John Redwood in today's Telegraph calling for an end to big-money politics. Like ConservativeHome (but unlike Lord Ashcroft) the former Welsh Secretary agrees with the idea of a cap on individual donations and he opposes state funding compensating for the end of Ashcroft/ Sainsbury-size donations. Some commentators - like my good friend Iain Dale - oppose a cap on individual donations because they do not think that small, retail funding could ever cover the lost money from big donors. I'm not so sure about that in the long-term but I've always thought that political parties spend wastefully and do not need to raise as much money if they were more disciplined spenders. Mr Redwood lists some of the parties' existing favourite spending projects and is sure that we could do without them. He and ConservativeHome agree that there are big advantages in stopping all big state/ big business donations so that political parties are forced to reconnect with smaller individual donors. John Redwood calls for a £7.5m cap on general election expenditure. I disagree with this limitation although it will probably be some time before any party has a retail funding operation that could raise such a sum. I believe that parties should be free to spend as much as they wish if they can raise it from a diverse number of UK voters. The incumbent parties - through existing Short money funding and MPs' annual allowances - already have huge sums of money available to them to entrench their positions. If an insurgent party could raise more than £7.5m from the electorate they should be able to spend that money on toppling the established parties. 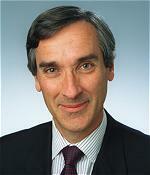 John Redwood puts the retail fundraising emphasis on recruiting more members. That's fine but is unlikely to be adequate. The 'Bowling Alone' generation isn't going to join political parties in large numbers anymore but they will back individual candidates and single-issue campaigns on a more ad hoc basis. These campaigns can and should be internet-based. It is one of the disappointments of Francis Maude's time as Party Chairman that CCHQ has not delivered this fundraising operation. I'm afraid I don't have a clear idea of a legislative framework for this, but I would personally like to see a greater proportion of the money being raised and effectively spent at constituency level to fund local campaigning. Done properly, I do think that providing a higher level of funding to local campaigns would be more politically effective then maintaining the current amount of top-down media buys etc. I wonder whether this would eventually mirror the US route, where the onus seems to be more on people to give to candidates' campaigns? I do believe that some of the most effective funding we had prior to the last General Electon was the early funding streams into target seats from CCHQ and Ashcroft - both of whom required a detailed and accountable business plan from the local campaign team first. There is also an argument here on the question of people "buying influence" within political parties, by saying that a donation to an idividual constituency party buys far less of it! I don't know how you would distinguish between giving to a huge range of different constituency parties and making a national donation, however. There would also be some need of informal groupings or support networks within the Party which ensured that financial support was given from strong associations where we were incumbent to weaker associations in target marginals. I too am not convinced about the cap - it depends what you define as GE expenditure as well. Campaign teams in target seats have to be able to raise and spend money over a long period to counteract the advantage of incumbency of their Lab/Lb opponent. Many of us have to raise our game on the ground and make it more consistent before I think this could be a genuinely viable direction. For once I am braodly in agreement with Mr Redwood. Have to go and lie down now. Though, given that we already receive substantial state aid, I have no in principle problem with that. Politics should be about ideas and not money. Local fundraising is all very well, but there comes a problem when all the rock-solid seats spend up to the limit and target seats (which, not having an MP already may not be able to fundraise as effectively) raise and spend less. Local fundraising with some redistribution from safe to target seats would, however, be great. 'Politics should be about ideas and not money'-nice idea in theory, with few exceptions (ie Referendum Party) not in practice. Not suprised that you approve of state funding Marberry,just another thing to disagree with you over. Presumably you have no objection to having part of your taxes going to fund extremist parties or that state funded parties will have to pay even less attention to their members and activists. No reason - Redwood can be quite reasonable when he presents himself properly. These funds would be for MPs and Councillors from the Party in question and could be set as matching contributions; but always with a cap in total per constituency. Local fundraising with some redistribution from safe to target seats would, however, be great. Safe and target seats have already co-operated, Robert, as I'm sure you know. It's actually one of my pet subjects within the party, which probably came from running a small corner of our campaign support operation at the last GE, so I whole-heartedly agree with you. It's also one of the areas where we can always do better, as well. Conservative-held seats need to ensure that (as most already do) we view campaigning as an ongoing long-term activity and use the benefits of incumbency so that we don't get driven to spend up to the limit in a GE and we can divert funds and well-trained activists to target (and to a lesser extent development) seats. malcolm, the Conservative Party alkready benefits from £4 million a year in annual state funding - money which is vital to CCHQ. So I already pay taxes to fund the Conservative Party. And, similarly, indirectly my taxes fund UKIP in the European Parliament (as well as the Conservative Party). Has the sky fallen down? No. Tax funded parties are a small price to pay if it helps clean up politics. We should remember that the previous government, as well as the current one, got into difficulties over funding. We all know that foreign sources paid substantial sums towards the costs the successful 1992 campaign, so we Conservatives should take a longer term view of this than what might make good headlines in tomorrow's paper. Prime Minister Cameron will not want to spend all his time buttering up donors. Why not make personal political donations tax efficient, and allow the donor to set the amount against their taxation. It would allow all to gain, this is apolitical, and meets some of the demand for state funding ( which i am against on principal), half way. Corporate donations, and here i include the unions, would be banned, as would funding from any person not normally resident in the UK. And from any wealthy person who is resident in the UK as a tax exile or a person who holds more thatn one passport or nationality. This would at least force political parties to re-engage with the electorate and start listening to what the ordinary man wants. Hopefully it will eliminate the focus groups and what i call the "PollyMiasma"; the drowning out of the sanctimonius whingers, who have an unfair influence on politicians as a result of their position and role and stridency. I don't think there is any point in capping donations, limit direct funding for partys and people will just campaign themselves and it will still be those with the biggest wads dominating things. Have to say I agree partly with Iain Dale, in that w/out state funding parties under a system of donation capping will struggle horrendously. Still, that's preferable to the current setup, and on balance the donation cap seems preferable despite other problems it might cause. However, one major worry for me would be the incentive to corruption. The marginal benefit of extra spending funded by dodgy donations under such a setup could be particular high, which isn't an ideal temptation for perhaps desperate parties. On the other hand, perhaps fiscal discipline might impose more genuine grassroots people-power campaigning (something akin to El Ed's ideal above, perhaps a bit utopian but probably worth striving towards). If this did become the norm, heavy spending might become tainted with the smell of dubious finances, and thus partly negate itself. The issue of state funding is one which I inherently despise. The move towards state funding coincides with a fall in voting numbers, and a general disregard for the status of the political elite. Yet conversely single issue groups continue to be able to raise donations and support their organisations. I have commented on this a number of times before but political parties should not be allowed to receive state funding of any sort. If they are unable to raise any sort of funding then they should whither on the vine as they are not representing the views of the public. What concerns me most is that State funding will inevitably be a fixed deal that benefits the pre-existing parties whilst squeezing out the opportunity for new parties to enter the fray. This in turn further alienates the existing parties from the public who they become fiscally sheltered from due to their state funding whilst weakening public support for our democracy. As to donations I personally have no issue with large or small donations. Simply make it a requirement for all parties to list all of their donors in their accounts. If shell companies are used then the owner(s) of the shell companies must be listed alongside the donation. People will be able to access the information and this will make the entire process clearer. I wish that people would accept that political parties exist to represent ideas and interests. Where these coincide then it is acceptable for financial support to be provided. Making it clear where the support has come from in a transparent manner will at least go some way to restoring some semblance of faith in fund raising. Finally, all the main parties should spend less on media and live within their means. I would like to see it a requirement that parties are solvent prior to being allowed to take power. E.L Marberry says that tax funded parties are a small price to pay if it cleans up politics. State funding will reduce the accountability of political parties, especially the big ones. That's why the closed elites who run the Labour and Tory parties are so keen on it. They will be able to hold voters to ransom for cash and otherwise ignore them. So this is spectacularly unlikely to clean up politics. "Tax funded parties are a small price to pay if it helps clean up politics. We should remember that the previous government, as well as the current one, got into difficulties over funding"
Taxpayer funding does not clean up politics - quite the reverse. It simply entrenches oligarchies. The EU is, of course, the voice that matters on this. They know it's the way for them to take final control (a la USSR) - they will quickly move on to insisting that tax payers only fund transnational parties, and only support parties that promise support for the United States of Europe. I can remember the days when my local association (and others all over the country) raised vast sums of money for party funds. A lot of those funds were raised personally by me and my small army of hard-working Young Conservatives. Perhaps the new generation of Cameroonies should get off their backsides and do the same, instead of spending their days inebriating themselves with vacuous windbaggery about their glorious future careers. I hear some teacher in Devon has caused a massive furore by telling children that Santa Claus doesn't exist. I suppose we Camerosceptics fill something of the same function, but we know only too well that Dave's little dears will continue to worship their hero until the morning after the next General Election. To me, apart from the distaste I would have for any of my taxes going to support parties whose policies I abhor [Respect, the Greens and the Scottish/Welsh nats in particular] the major downside of state funding is that it would most likely distribute funds on the basis of number-of-MPs-elected or number-of-votes-cast. This shores up the financial positions of the established parties and erects a significant hurdle against the emergence of any new parties unless they can arrange some significant amount of independent funding with which to get off the ground. Not a good thing if you wish to encourage any sort of evolution in the political gene-pool. spend collosal amounts of tax payer funded expenses on political material sent out as "letters" to constituents. I have written regularly mentioning the benefit of incumbency - but this is emphatically not what I was referring to! Parliamentary expenses are not to be spent on party political activities - for example, I believe that you could send out a Joe Bloggs MP newsletter under parliamentary allowances, but not a newsletter openly trumpeting the "accomplishments" of the Labour Government and the Anytown Labour Party. Communications spend should be on constituency matters and not be openly partisan (anyone fancy writing to the Parliamentary Commissioner for Standards?). Of course these can be electorally advantageous, but to achieve that you have to be a good constituency MP first! Now that does sound like a democratic deal to me! Conclusion - if you want to promote partisan policies under the current law, wake up your constituency party and raise the money to openly campaign on them locally! ukfirst - I hope you get a new straightjacket for Christmas, one of those fur lined jobs would be nice at this time of year. WHAT I SAID: The EU is, of course, the voice that matters on this. They know it's the way for them to take final control (a la USSR) - they will quickly move on to insisting that tax payers only fund transnational parties, and only support parties that promise support for the United States of Europe. Mr Marberry - I hope your scepticism is well-founded but we'll see who is right in 5 years. State funding is inherently corrupt, as it perpetuates the existing status quo. It also means a level playing field of sorts which all parties will want to influence. The result is you get someone like Chirac who is manifestly corrupt and manipulates the electoral roll for extra money, who charges a bribery rate for state contracts, or you get Kohl who had a voracious appetite for undeclared extra monies to be spent on elections. One doesn't need to comment on Italy. No state funding and lets not give the EU a chance to extend their ridiculous snouts into our game, with the transnational aspect already extant in Brussels. The big question here is why is Redwood being so off message when the Tories so desperately need the money to stave off bankruptcy?